There was a strongly defended gate here in the 13th century. The slot for the portcullis and the deep socket for the stout timber beams which secured the door can be seen in the wall behind you. 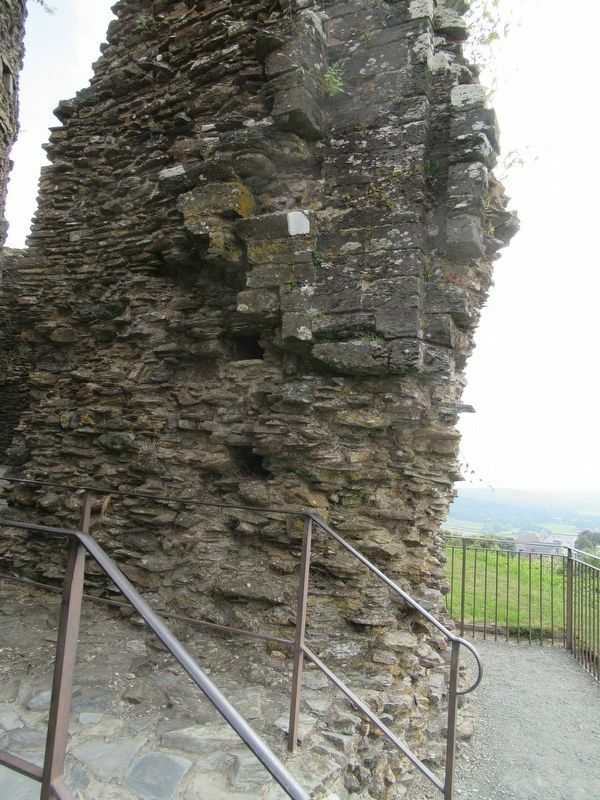 To your right, steps within the thickness of the wall led up to the battlements. Location. 50° 38.248′ N, 4° 21.686′ W. Marker is in Launceston, England, in Cornwall County. Marker is at the intersection of Western Road and Dockey, on the left when traveling north on Western Road. Touch for map. 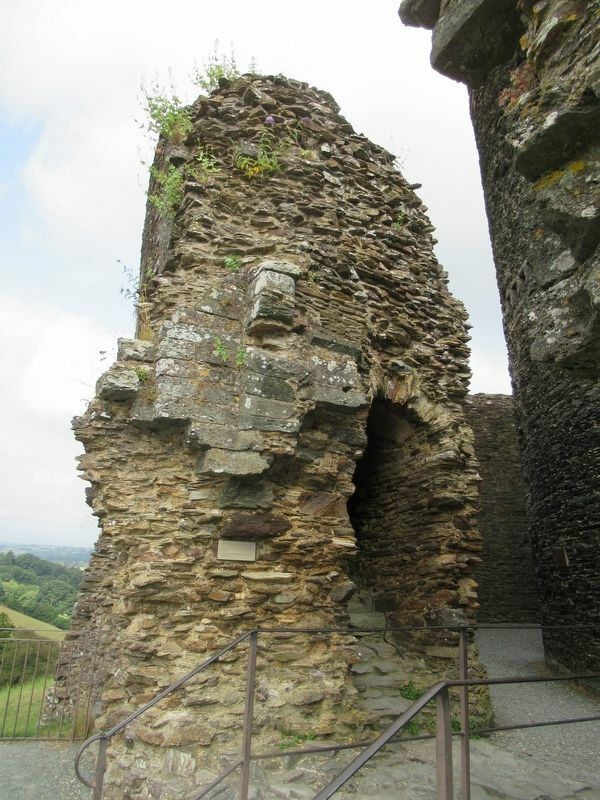 Located at Launceston Castle. Marker is in this post office area: Launceston, England PL15 7DR, United Kingdom. Touch for directions. 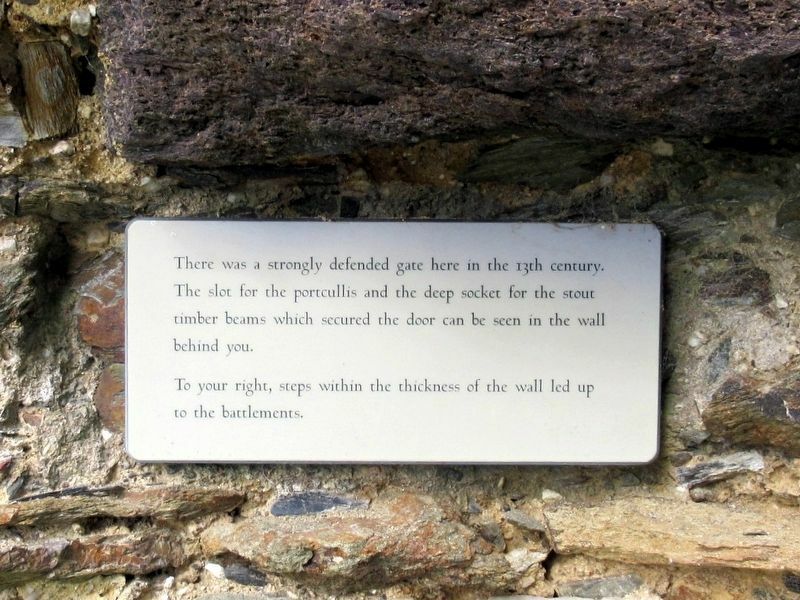 shouting distance of this marker); North Gate House (within shouting distance of this marker); gorseth kernow (within shouting distance of this marker). Touch for a list and map of all markers in Launceston. More. Search the internet for The Gate. Credits. This page was last revised on October 3, 2018. This page originally submitted on October 3, 2018, by Michael Herrick of Southbury, Connecticut. This page has been viewed 45 times since then and 5 times this year. Photos: 1, 2, 3. submitted on October 3, 2018, by Michael Herrick of Southbury, Connecticut.